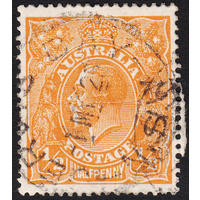 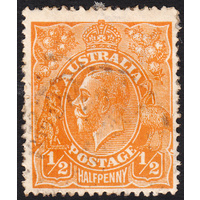 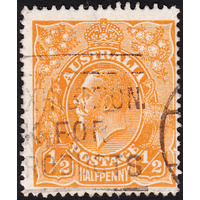 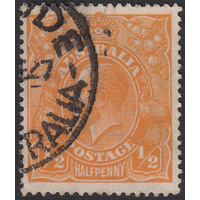 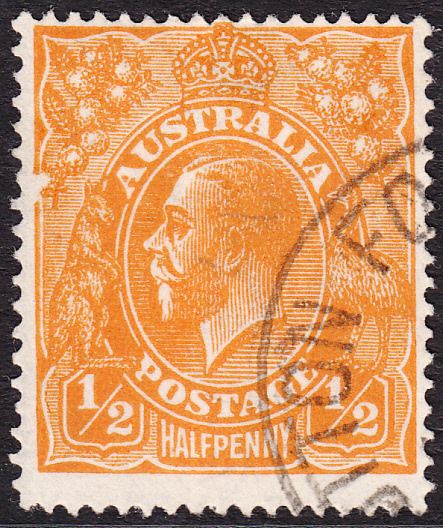 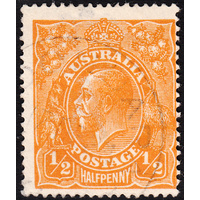 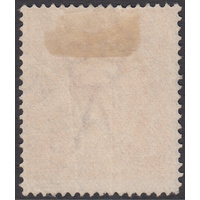 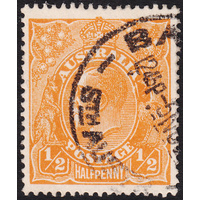 Australia KGV 1923, 1/2d Orange, Single Watermark, variety 7R7 (Large flaw breaking left frame and wattle leaf) in Fne Used condition with no faults. 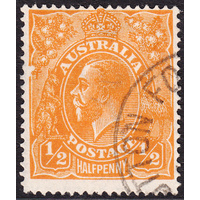 Centered high with a circular datestamp cancellation well clear of the variety. 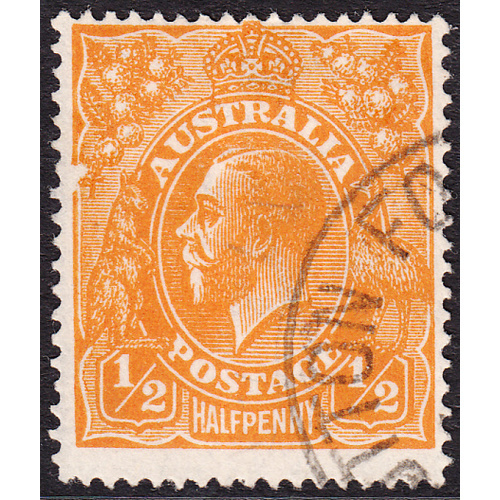 Superb example of a spectacular variety; it doesn't get much better than this! 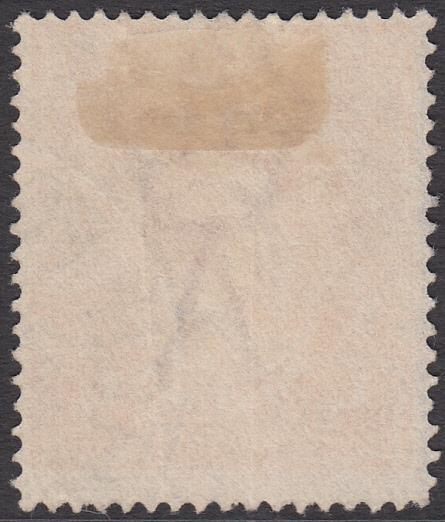 BW 66(7)g.